We’re finally catching up with last week’s two big climate-policy stories: the new IPCC report on the dire consequences if global temperatures rise more than 1.5°C above pre-industrial levels, and the awarding of the Nobel Prize in economic science to climate-policy pioneer William Nordhaus of Yale. Not just a price, but a high price, is how The Times summarized the IPCC’s key recommendation. See link + more in text. A clear thread links the two stories: earth’s climate — and literally human society — faces repeated, widespread, unmanageable disruption unless the world’s nations and peoples begin a sharp and complete U-turn from fossil fuels to carbon-free energy; and this requires not just a “price on carbon” but a high one, as the New York Times spelled out in the headline of perhaps the paper’s key story last week. Not only that, the price must be considerably higher than Prof. Nordhaus, the dean of climate-damage modeling, has called for throughout his illustrious careeer. 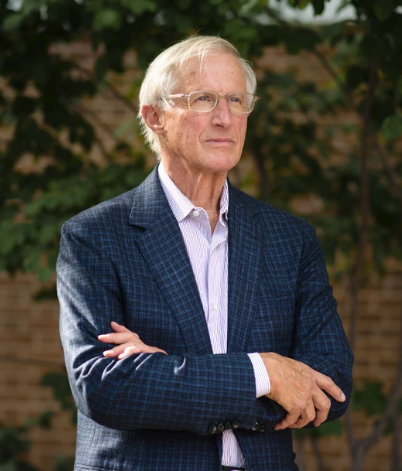 Plumer noted that since the 1970s, Prof. Nordhaus has “argued that companies that burn fossil fuels should be taxed at a rate that reflected the harms they were imposing on the rest of the world.” Needless to say, the companies would pass on most if not all of these carbon taxes in the form of higher prices for fossil-fuel derived electricity, gasoline and diesel fuel prices, etc. — a feature rather than a bug since these price incentives would do more than any other competing policy measures to motivate the companies themselves, along with millions of other decision-makers to change behavior, make investments and pursue innovations to minimize their tax exposure and, thus, shrink national and global use of fossil fuels and resultant carbon emitting. That’s essentially our view at the Carbon Tax Center, except that we don’t necessarily view direct regulations like car-mileage standards as heavy-handed — just less productive than advertised, due to their scattershot, reactive nature; overrated, you might say. How steep must a carbon tax (or carbon price “delivered” under a cap-and-trade permit system) be to enable the climate catastrophe of 1.5°C or greater temperature rises? As Plumer notes, the IPCC report estimated that the global-average price to emit a ton of CO2 pollution must be at least $135 by 2030, and perhaps as great as — are you ready? — $5,500. The bottom end of the range, at least, is right in line with what CTC has been advocating since roughly 2010, with a carbon tax starting at $12.50 per ton of CO2 and rising by $10/ton each year. As we never fail to point out, within a decade the tax, passing $100/ton and still rising, would cut U.S. emissions by roughly one-third from today’s levels. While stronger medicine is almost certainly needed, we’ve tended to stick to that trajectory to stay within the lines of political feasibility — a convention we would gladly bend if the carbon tax, once implemented, proved more acceptable to the public and elected officials. Policies that are widely popular with voters, such as mandates for renewable energy, can help reshape the political landscape to make more ambitious climate action feasible. And policies that spur innovation and drive down the cost of cleaner alternatives to fossil fuels, such as electric vehicles, could potentially make higher carbon prices more palatable. Nobel Laureate Nordhaus, in New Haven last week. Photo by Monica Jorge, courtesy NY Times. In other words, as the perceptive Vox journalist David Roberts pointed out several years ago, continued advances in (and broadening uptake of) wind power, solar PV, electric cars, etc. could help carbon taxes be seen as a helpful bridge rather than a punishing hand. And, politically, that could make all the difference. As for Nobel laureate Nordhaus, we haven’t been alone in criticizing him over the years for settling on an adamantly conservative formulation of carbon damages and the resulting “social cost of carbon” — one that arises from both his insistence on a high “discount rate” that shrinks future costs in present terms, and his exclusion from his modeling of the prospect that climate change will erode societies’ ability to generate new wealth by inhibiting the accumulation of technological and intellectual capital, among other losses. CTC policy associate Bob Narus contributed information and ideas to this post. Agreed: Carbon Pricing Isn’t Working. Now What? If governments proved willing to impose carbon prices that were sufficiently high and affected a broad enough swath of the economy, those prices could make a real environmental difference. But political concerns have kept governments from doing so, resulting in carbon prices that are too low and too narrowly applied to meaningfully curb emissions. Ball is discussing both carbon taxes and cap-and-trade here. Cap-and-trade regimes have been limited to a few economic sectors — most typically, electricity generation. And the caps set so far have been too high (i.e., loose) to generate the robust carbon prices that can really impact these sectors. Though reforms are in the works in both Europe and the U.S., Ball is rightly skeptical about how far they will go. 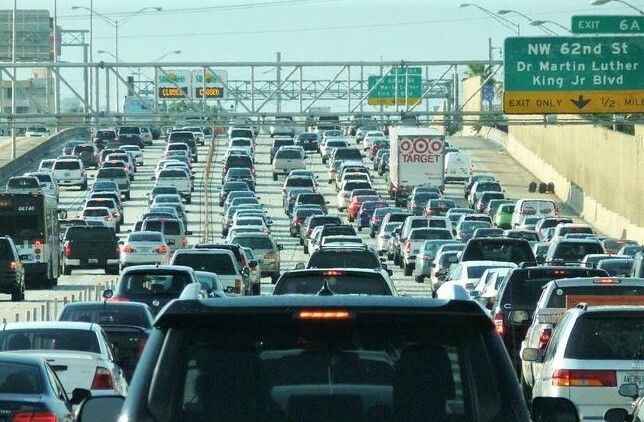 I-95, Miami. A robust carbon tax can help un-jam highways while also cutting carbon emissions. The news for carbon taxes isn’t much better, so far. A commission of economists convened by the Carbon Pricing Leadership Coalition last year recommended a tax in the $40-80/ton range by 2020. Only six countries — Sweden, Switzerland, Liechtenstein, Finland, Norway, and France — have carbon taxes that high, according to the World Bank. Ball’s alternative is what he calls “more targeted moves,” but his reasoning seems muddled. He argues that politically feasible levels of carbon taxation won’t change how much or which vehicles people drive, but then endorses higher gasoline taxes to motivate those very changes. (For the record, we estimate the price-elasticity of gasoline to be negative -0.35, meaning that the price of gas has to rise by one-third to reduce usage by one-tenth.) He also contends that carbon taxes give builders no incentive to erect energy-efficient buildings, yet there is abundant evidence that buyers and tenants are willing to pay premiums for efficiency-certified properties (see here and here) — a preference that will only grow if energy prices rise. [P]ursuing these measures directly offers a politically realistic path to significant environmental benefit. . . . To the extent that the carbon-pricing experiment lets policymakers and the public delude themselves that they are meaningfully addressing global warming, it’s not just ineffectual; it’s counterproductive. There’s a double standard here, however. The regulations and subsidies that U.S. environmental and climate advocates have won over the years have a mixed record. Production-tax credits and renewable portfolio standards helped jump-start the meteoric rise in wind and solar, but those gains, while impressive, accounted for a mere one-fifth of the 25 percent drop in carbon emissions from U.S. power generation since 2005 (energy efficiency and the rise in fracked gas each accounted for two-fifths). In transportation, cheap gasoline is a key reason that U.S. drivers are burning more gasoline now than a dozen years ago. Moreover, directing massive subsidies to carbon capture and sequestration — another remedy Ball endorses — doesn’t look much more politically realistic than serious carbon pricing. And as a general proposition, subsidizing alternatives to carbon-burning fuels is at best only half as effective at cutting emissions as raising the prices of those fuels, as CTC demonstrated in its groundbreaking comments to the Senate Finance Committee four years ago. If arresting global warming were politically easy, we would have done it already. 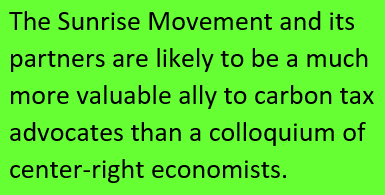 But it’s not, and discounting perhaps the most potent arrow in our quiver when every other alternative is far more limited in scope doesn’t make much sense. Addressing the climate crisis is hard work; we might as well expend that effort on a policy that could actually do the job. 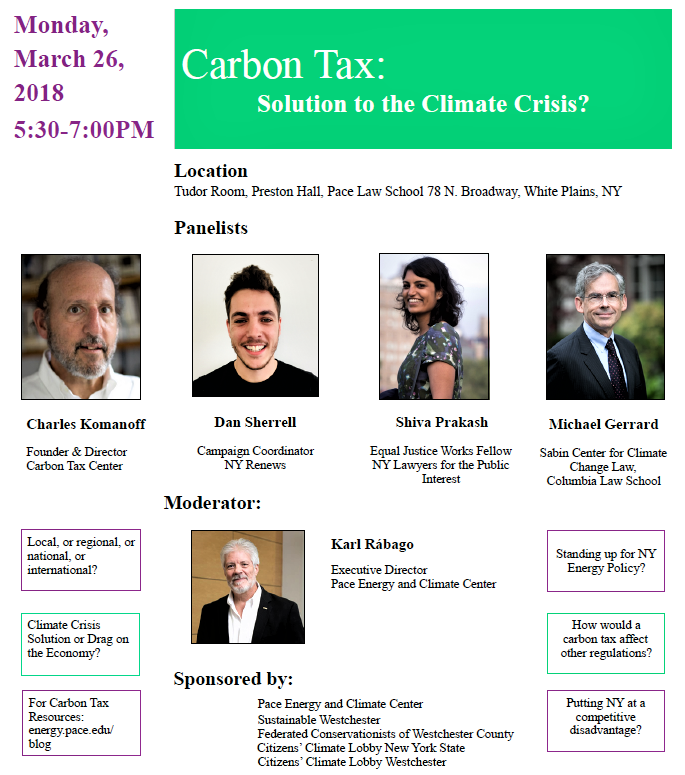 The rifts over carbon pricing that have engulfed the climate movement in recent years and helped sink the 2016 Washington state carbon tax referendum softened noticeably at a public forum in New York’s Westchester County on Monday evening. Lines of convergence outweighed points of contention, perhaps signaling that proponents of transparent and robust carbon pricing can surmount our ideological differences and move forward together. The forum, Carbon Tax: Solution to the Climate Crisis, was organized by local climate activist Andrew Ratzkin and held at Pace Law School, whose affiliate, the Pace Energy and Climate Center, has for decades been a bulwark of policy and legal analysis for energy efficiency, renewable energy and environmental taxation. While the four panelists — I was one — hale from different disciplines and generations, we were conversant with climate science, economics and organizing and respectful of each other’s endeavors. The younger panelists, Dan Sherrell and Shiva Prakash, outlined the ambitious New York State carbon tax proposal developed by NY Renews that has attracted wide support — with sign-on from 143 organizations — through its pledges to apply the carbon revenues to protect low-income families, invest in sustainable energy technology, help workers transit out of fossil-fuel jobs, and remediate “front-line” communities disproportionately damaged by fossil fuel processing and combustion. While there’s room to question whether spreading the revenues so broadly can achieve all four objectives, NY Renews rests its optimistic projections — which include, by 2030, a halving of New York CO2 emissions and creation of 150,000 net new jobs — on a detailed study by the U-Mass Political Economy Research Institute. The group also formulated its carbon-tax proposal through extensive consultation with advocates from labor, environment, low-income and environmental-justice communities — a far more holistic process than Carbon Washington followed in fashioning its doomed I-732 referendum, and one that should augur well for the eventual legislative effort. You may have noticed that my description led with the proposed use of the revenues, not the level of the tax. One reason is that the carbon tax amount in any state proposal tends to be constrained by “leakage” concerns over cross-border business flight as well as the political difficulty of getting too far out front of neighboring states; for the record, the NY Renews carbon tax would start at $35 per ton of CO2 and increase indefinitely at 5 percent a year. 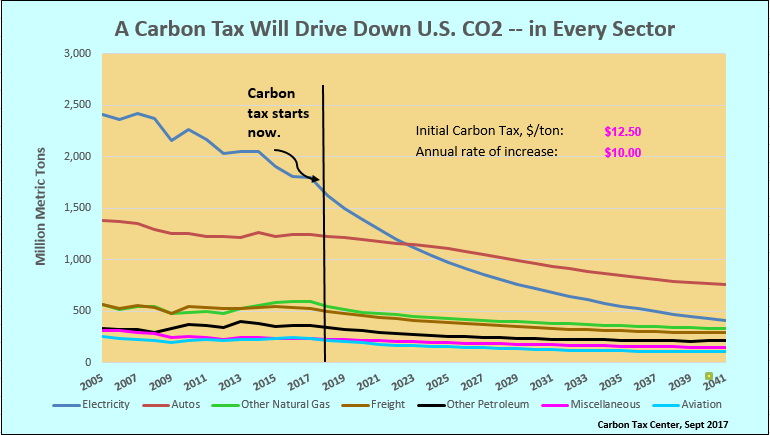 The other, weightier reason for emphasizing revenue use is that it has become the boulder on which carbon tax advocacy has splintered. 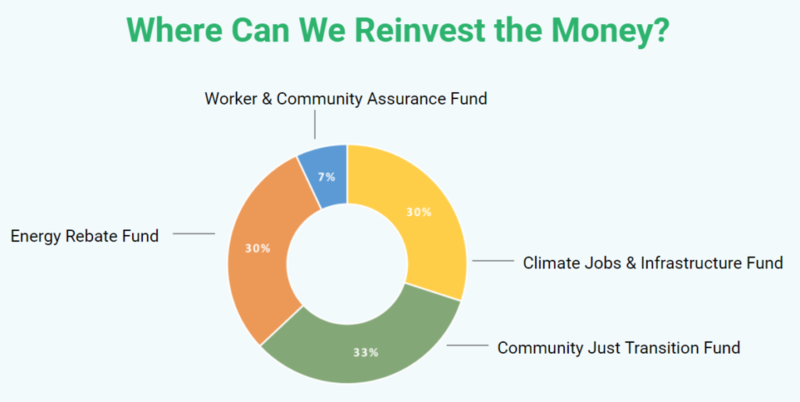 Revenue-investment proponents like NY Renews, who tend toward the political left, want the carbon revenues applied to the “Green New Deal” elements outlined above (and shown in the graphic below) which collectively constitute what they call “the just transition” from coal, oil and gas to renewables. An opposing revenue-neutral camp tends to be less overtly political, as exemplified by Citizens Climate Lobby, whose 60,000 national members insist on equal return of carbon “dividends” to households as a way of skirting left vs. right fights and building constituencies of support for raising the carbon tax or fee level (since the dividend checks rise at the same rate). The revenue-neutral camp also places greater trust in the ability of the carbon-price signal to motivate pervasive changes in investment, behavior, technology and societal values that will effectuate the flight from fossil fuels, whereas revenue-investors tend to disdain “market forces” and to eye carbon taxes primarily as a revenue source to pay for socially driven and governed wind, solar, weatherization, public transit and electrification. 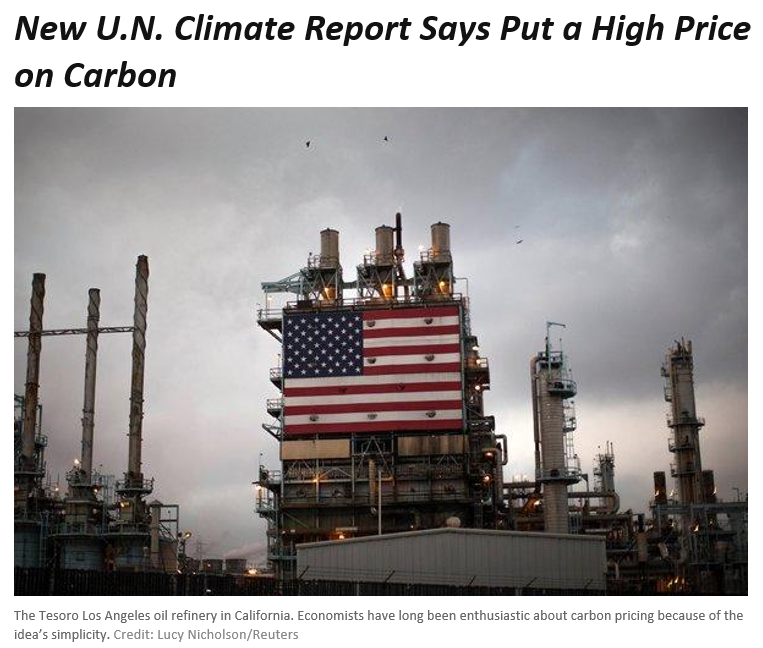 Taxing carbon emissions is so essential AND politically difficult that establishing a U.S. beachhead is more important than demanding a perfect version. 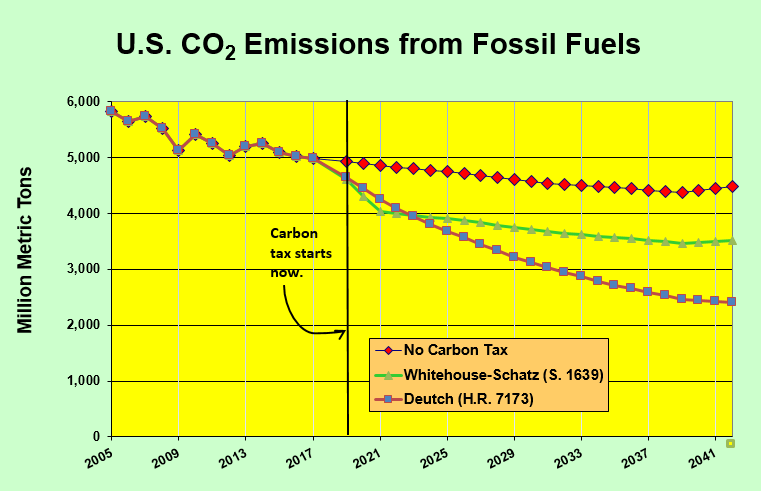 The impossibility of enacting a carbon tax at the federal level till at least 2021 leaves states as the locus for that beachhead for several years or more. Greater role of coalition politics makes some revenue investment necessary to pass state legislation. While it’s possible or even likely that initial state carbon taxes that are heavy on revenue investment might repel red-state members of Congress as “Christmas-tree” packages, that specter seems less salient than the need to get some carbon-tax boots on the ground — not to mention the need to overturn the G.O.P. majorities and shrink climate-denialist representation in Congress, period. NY Renews’ proposed state carbon tax allocations. These bullet points sharpen somewhat the long-established position of the Carbon Tax Center to support virtually any carbon tax formulation that doesn’t demonstrably worsen economic inequality. Still problematic for CTC, however, is the insistence of many revenue-investment adherents that their Just Transition include substantial allocations — as much as one-third, in the NY Renews proposal — to offset and remediate disproportionate fossil-fuel impacts on front-line communities. Our position, which co-panelist Michael Gerrard also voiced, is that the fastest and surest way to reduce and eliminate those environmental injustices is to enact and ramp up the highest carbon tax that’s politically imaginable. Both Michael and CTC premise this on our conviction that the price signal itself is the salient policy tool within the carbon tax, and that a robust carbon charge will create powerful and ultimately irresistible incentives to reduce and eliminate fossil fuel use — and, thus, emissions and other impacts — across-the-board, not just in selected (wealthy and white) communities. It follows, then, that all communities, including but not limited to environmental-justice communities, will be better protected from both climate damage and “traditional” environmental insults if carbon tax proposals are free from what some lawmakers may consider special dispensations and can be legislated as high as possible. We at CTC took a first stab at articulating this position in a 2016 blog post. We hope to elaborate on it soon and to elicit responses from NY Renews and other climate activists who carry the environmental-justice carbon-tax banner. America is anti-urban. This is not a feeling or a passing fancy but a fact. While the House adheres to the principle of one person-one vote, more or less, the Senate is a horror show of anti-democracy. Thanks to the principle of equal state representation, it gives the three percent of the population that live in the ten smallest states the same number of senators as the 54 percent that live in the ten largest. The Electoral College triples the clout of Wyoming, Vermont, and other under-populated states in presidential elections while Article V — the constitutional clause that says that two-thirds of each house plus three-fourths of the states must approve any amendment — allows thirteen states representing as little as 4.4 percent of the population to wield an absolute constitutional veto. In case you were wondering, this, in a nutshell, is why an eighteenth-century relic like the Second Amendment will never, ever go away. But because the least populous states are the least urban for the most part, the result is a profound structural bias in favor of acres over people. And since American politics are also fragmented and de-ideologized, the effect is not only to short-change urban interests but to confuse and obscure them so that Americans no longer recognize what those interests really are. Here are two examples of how US-style structural anti-urbanism plays out. One involves pot. The other involves carbon. Although you wouldn’t know it, thanks to a near-century of Washington scare tactics, smokeable marijuana is one of the world’s most benign inebriants. As Lynn Zimmer, a sociologist at Queens College, and John P. Morgan, a professor of pharmacology at the City University of New York, showed twenty years ago in “Marijuana Myths, Marijuana Facts,” large-scale studies of users have “generally supported the idea that marijuana was a relatively safe drug — not totally free from potential harm, but unlikely to create serious harm for most individual users or society.” Contrary to anti-drug alarmists, pot does not harm reproduction or fetal development, it does not damage brain cells, and it does not cause “significant reduction in any pulmonary functions,” most likely because regular users consume at most three to five joints per day versus the ten to forty cigarettes consumed by a typical smoker. Marijuana also does not inexorably lead to an “amotivational syndrome,” which is to say stone-style listlessness, according to Zimmer and Morgan, and it is not a “gateway” to harder drugs either. So legalization is an attractive alternative for all those seeking to make America a healthier, happier, and — dare we say it? — mellower place. But it is especially attractive from an urban point of view simply because depressed inner cities are where many of the drug war’s social costs are concentrated. Black users are nearly four times as likely to be arrested as whites according to the ACLU, while poor people in general are disproportionately penalized. In New York City’s twenty wealthiest neighborhoods (average family income: $75,000 per year), the arrest rate in 2014 for marijuana possession was just 39 per 100,000; in its twenty poorest (average family income: $34,000), the arrest rate was 498, nearly thirteen times greater. Thus, support for marijuana legalization should be strongest among minorities and the poor and the politicians they elect. And it would be if America were more democratic. But given its present anti-urban structure — which, by the way, is worsening as the interior continues to lose ground to burgeoning coastal communities — strange anomalies appear. 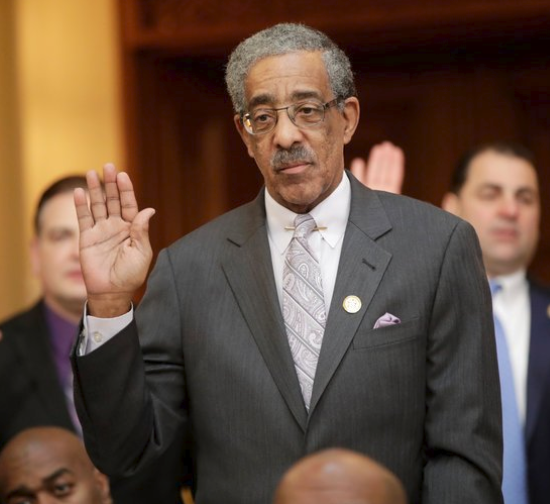 NJ State Sen. Ronald L. Rice questions legal marijuana’s impact on Newark and other urban communities. AP Photo by Julio Cortez. All too true. But what critics evidently don’t realize — what an inequitable power structure prevents them from realizing — is that, all things considered, inner-city communities will still be better off if non-punitive policies are adopted and the individual is left alone to decide what substances to ingest and what not to. 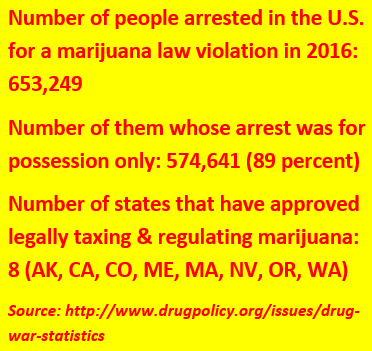 And that’s true even if marijuana reform is revenue-neutral, that is, if it simply legalizes sale and use without dedicating cannabis tax revenues to communities hollowed out by the drug war and mass incarceration. Even a half-good reform is better than nothing. And now onto the second issue: carbon. The arguments in favor of carbon taxes are every bit as overwhelming as those in favor of marijuana legalization. 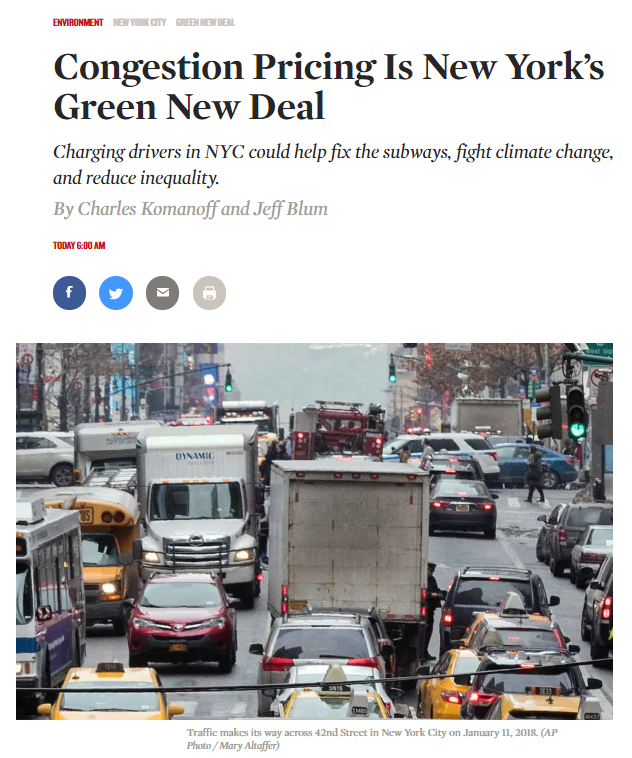 They discourage carbon-dioxide emissions that are the prime cause of global warming, they encourage a switch from fossil fuels to sustainable energy sources, and, by de-incentivizing driving, they help thin out the chronic traffic congestion that paralyzes the country’s major metropolitan areas. But what’s often overlooked is the effect not just on traffic or climate, but on America’s much-abused urban centers. To the degree carbon taxing discourages driving, it encourages a shift to mass transit, which, by its very nature, tends to feed into densely-populated cities. Moreover, mass transit doesn’t just funnel people into such nodes — it funnels economic activity and jobs. To the degree that taxing carbon encourages energy to be used more efficiently, it encourages a switch from cars and trucks to biking, walking, and rail, all of which are more compatible with high urban densities. By altering the incentives, taxing carbon emissions applies the brake to powerful centrifugal forces that have spun employment off into ever more distant exurbs, replacing them with centripetal forces returning them to the old urban cores and central business districtss. Carbon taxes won’t do this all at once, needless to say, but they will at least start the process moving. This is good news for a lot of people, but especially for urban job seekers who can’t afford a car and can’t pursue job opportunities ever farther out in the suburbs because of racial barriers expressly designed to keep them away. Instead of their going to the jobs, the jobs will go to them. Given all that, one would expect environmental progressives to clamor for ever more carbon taxes — the bigger the better. But anomalies arise yet again. When the state of Washington decided to submit a modest carbon tax to a referendum in 2016, “progressives” led by DC-based Food and Water Watch countered that the tax was regressive, that “people drive because they have to, not because they want to,” and that “[i]ncreasing gasoline prices only means that struggling families will have to cut back on other expenses to fill up their cars at the pump.” Opposition by such “social justice” groups was one reason that the tax, a US first, went down in defeat by a margin of nearly 3 to 2. 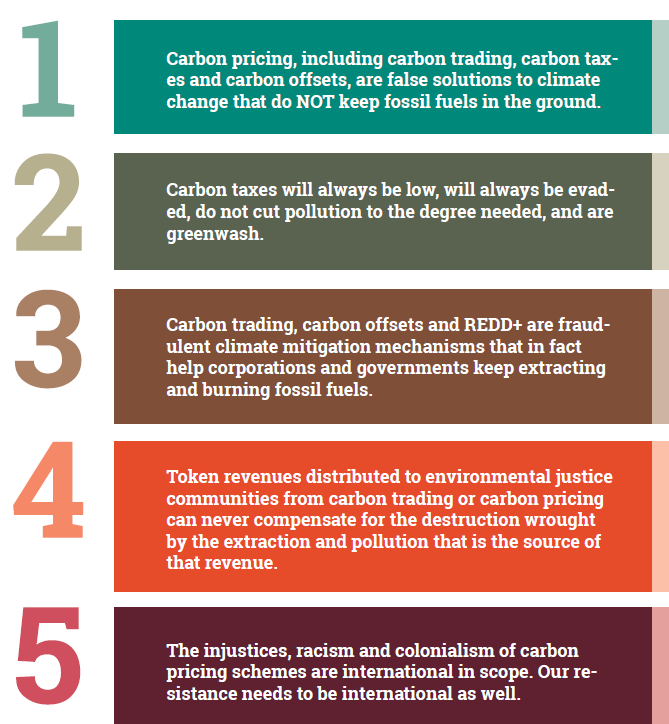 From searing words like these (from “Carbon Pricing: A Critical Perspective,” by the Indigenous Environmental Network and the Climate Justice Alliance), one wouldn’t know that carbon taxing can benefit frontline communities disproportionately. Like critics of marijuana legalization, however, “progressives” had no more than half a point. Boosting gas prices will negatively affect the working poor, which is why any proper carbon tax should include mitigations in the form of reimbursement, which the Washington referendum provided in spades, or promises to invest revenues in job-creating infrastructure projects. But the idea that “people drive because they have to” is nonsense. Driving is not inelastic. As prices rise, motorists cut back on discretionary driving or search for alternate means of going from here to there. The job of progressives is to demand that government provide such means and that it use its economic power to mold development in a way that is more cost-effective for working people, more environmentally benign, and more economically productive. Progressives also need to stop rejecting widespread evidence that “internalizing” climate damage-costs into the prices of coal, oil and gas instills powerful incentives to move off of fossil fuels, even when government investment lags behind. The present transportation system meanwhile works less well for more and more people. By 2016, the average American was spending a hundred hours more each year in a car than in 1980, the equivalent of two and a half work weeks. Rush-hour speeds are declining according to a study by Texas A&M University, meaning that commuters are spending more time going less far. By 2012, the average car on the road was more than a year older than in 2007 according to the Bureau of Labor Statistics, while the cost of repairs, upkeep, and replacements was up as well. The duration of an average car loan has risen thirteen percent since 2009 while delinquent loans since 2012 have nearly doubled. The typical motorist is stressed sitting in traffic and stressed when struggling each month to pay off his or her loan. As bad as this is, conditions are even worse for those who can’t afford a car and must therefore spend hours a day traveling by bus to ever more distant work places and then make their way across dangerous highways when they get back home. People like this are stranded in a hostile, highway-bound wilderness, forced to fork over large amounts of cash for a taxi or Uber whenever they want to go to a supermarket, an emergency room, or church. The system is no less dysfunctional than America’s endless drug wars. Yet an increasingly undemocratic and anti-urban structure not only prevents Americans from acting effectively to fix it, it prevents them from even thinking about how to address a growing list of problems in a constructive way. Politics have broken down, trench warfare has engulfed Capitol Hill, and the showdown between the intelligence community and the White House grows ever more ominous. Is this how the captain of the Titanic felt when he suddenly noticed a mountain of ice looming before him? 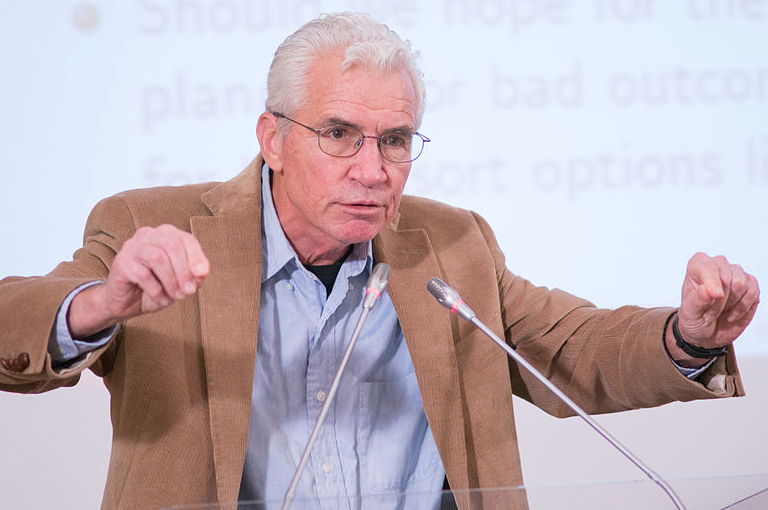 Daniel Lazare, author of “The Frozen Republic: How The Constitution Is Paralyzing Democracy” and “America’s Undeclared War: What’s Killing Our Cities and How We Can Stop It,” among other books, is an occasional contributor to the Carbon Tax Center blog. Everyone’s 2017 was eventful . . . and disruptive . . . and difficult. From January into April, we, like many of you, marched and protested while trying to see a way forward for carbon taxes under a denialist U.S. regime. We didn’t write this headline, but we agreed with it. The Left’s opposition to the WA carbon tax was a grievous mistake. We spoke at gatherings across New York City. 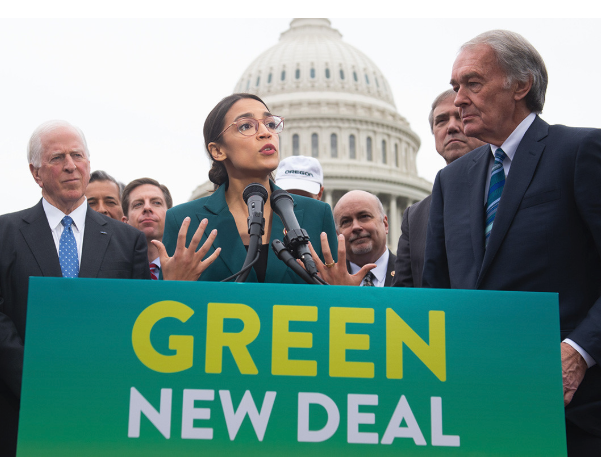 We published an article in The Nation magazine decrying left-green dogmatism that doomed the campaign in Washington state to enact the USA’s first carbon tax. We allied ourselves with the Climate Leadership Council’s audacious Republican-branded carbon tax proposal. 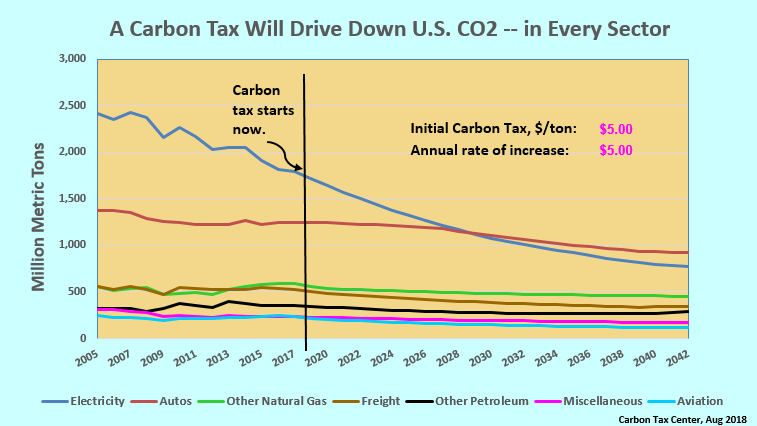 We published a 120-page guide to state carbon tax prospects compiled by Yoram Bauman, the economist-activist who spearheaded the Washington referendum. By then we were 100 days into a new administration whose cruelty and heedlessness were sickening. At a climate march in New Jersey, we called the complicit U.S. Republican Party “a racket to restore patriarchy, extractionism and white supremacy.” This truth grew even sharper a month later when Congressional Republicans cheered Trump’s repudiation of the Paris Climate Agreement. Outputs from CTC’s carbon-tax model: download and use! We kept working. We retooled CTC’s carbon tax spreadsheet model, incorporating the latest data, snazzing up the user interface and graphics, and for the first time apportioning refinery emissions among their “downstream” sectors — driving, freight and air travel (jet fuel). With this change and the ongoing shrinkage in coal-fired power generation, driving is gaining on electricity for the dubious distinction of most climate-damaging U.S. sector. 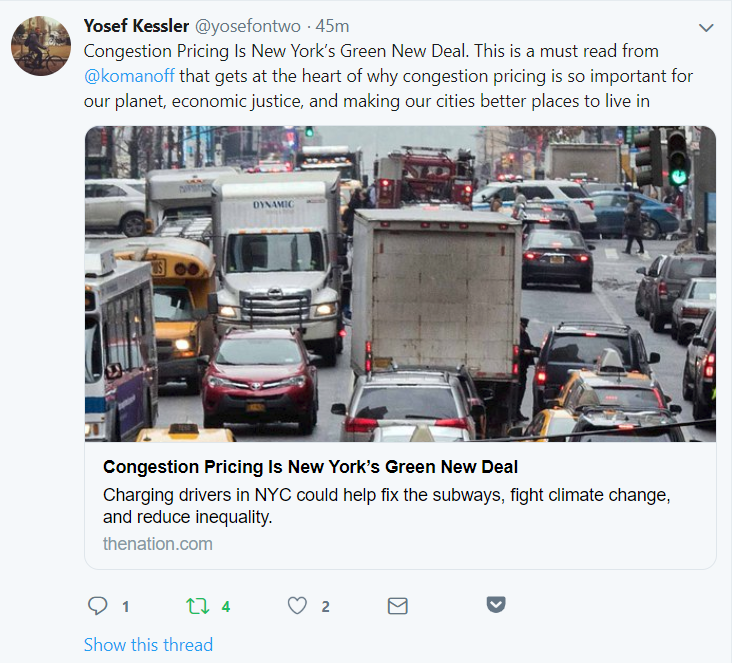 Meanwhile, a campaign for congestion pricing in New York City — fees charged to vehicles driven into and within gridlocked city centers — was gathering steam amid meltdowns in the city’s mass transit system, worsening traffic gridlock, and a void of political leadership. 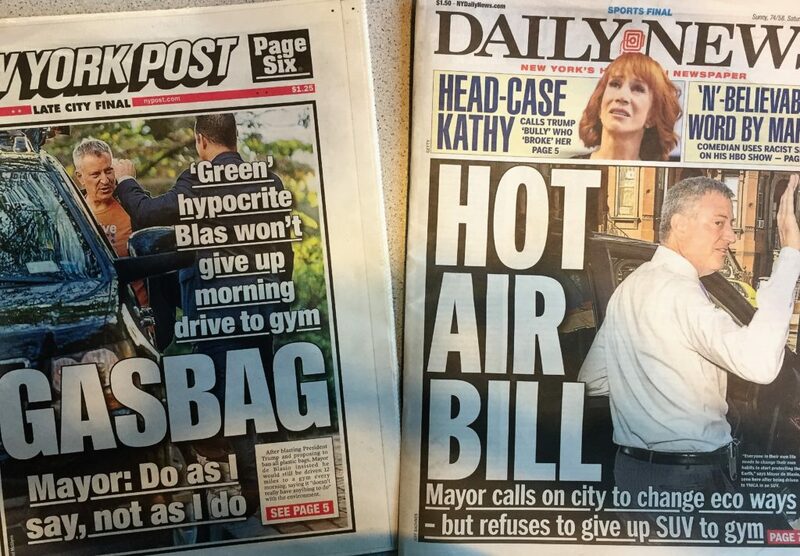 When Gotham’s SUV- and helicopter-riding mayor crowned himself leader of state-and-local-government resistance to the White House, we upbraided him on live radio, setting off a media frenzy that continues today. Our radio call-in touched off a roiling debate about the gap between public postures and personal acts. But our criticism went beyond tabloid fodder; it pointed to the persistent gap between public postures and personal acts — a breach that carbon taxes could help repair. Our pivot from national carbon tax campaigning accelerated in August, after Gov. Andrew Cuomo unexpectedly announced his support for congestion pricing. Shortly after, the analytics team advising the governor reached out to me: Would I help them deploy my monster congestion pricing model to score different congestion pricing plans? At the national level, the main event by far for carbon taxing this year is to bring an end to Republican climate denialism. This could mean routing the GOP in the midterms, or some other path to repudiating the party’s nearly monolithic rejection of science-based climate policy and its all-out embrace of fossil fuels. It may also require, in the states, dismantling the gerrymandering that, combined with Democrats’ “clustering” in urban precincts, entrenches Republicans’ control of Congress far beyond their share of Americans’ votes. I’m sorry to say that the notion of a bipartisan federal carbon tax is barely on life-support, as we wrote here last week, decrying the passivity of the Climate Solutions Caucus — the Noah’s Ark-like conclave that we formerly touted as a possible incubator for a revenue-neutral carbon tax. Nevertheless, CTC will continue our technical support and policy advice to members of Citizens Climate Lobby and to the Climate Leadership Council. But we harbor no illusions that current Republican officeholders will provide political leadership or even partnership for meaningful carbon pricing legislation. Excerpt from “Results” section of our “BTA” spreadsheet model. A key goal for early 2018: A congestion pricing win for NYC that establishes the “polluter pays” principle in the USA. There’s a corollary: it may be time to rethink revenue-neutral carbon taxes. As much as we love carbon fee-and-dividend, with its powerful logic of linking rising carbon taxes to rising “green checks,” the revulsion against Trump and the G.O.P. could make it harder to sell progressives on programs with a seemingly middle-of-the-road cast. We also can’t dismiss arguments by Frank Ackerman and others that the “fat tail” of climate worst-cases demands national mobilization on a scale that only government action can generate. Use our blog to post commentary on unfolding political developments, policy proposals and energy trends. As we head into the new year, we thank you for your past support and your partnership. Contributions to support our work in 2108 (please use this link) will, as always, play a valuable role in keeping CTC edgy, timely and forward-focused. This guest post is by Rachael Sotos, an aspiring political theorist and long-time CTC supporter who lives in Santa Cruz, CA. The gaping flaw in the Paris Climate Agreement was hidden in plain sight even before Trump repudiated the 190-nation compact this year. Notwithstanding the precedent-shattering achievement — an agreement signed by virtually all of the world’s sovereign nations — Paris comprised an unenforceable system of pledges, aptly named Intended Nationally Determined Contributions (INDCs). True, the first step in any long journey is often the hardest, and the Paris agreement includes a five-year time frame to review and hopefully strengthen the pledges made in late 2015. But let’s be clear: neither the INDCs nor the brave pledges of some U.S. governors and mayors since “Trexit” will radically curb emissions. The world needs a binding agreement with coercive mechanisms to meaningfully address climate change. 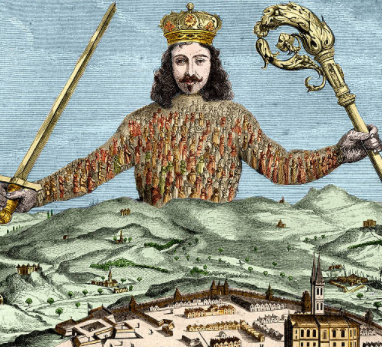 Detail from frontispiece of ‘Leviathan.’ Credit: Getty Images. Though Hobbes is reviled by some for advocating absolutist politics, he is also credited with discovering modern political economy and laying the foundations for both modern tax law and rational choice theory. One could even say that Hobbes employed allegories of extreme negative externality to legitimize top-down modes of political authority. In Leviathan (1651) Hobbes asked his readers to abstract from all familiar, inherited and trusted modes of collaboration, to imagine themselves in a “war of all against all,” bellum omnium contra alles. Rather than a literal prehistorical period, his “state of nature” is the ever-present possibility of market failure in extremis. Absent coercive administrative power, Hobbes argued, there could be no property rights, secure contracts or absolute moral duties apart from self-preservation. Each person is a covetous judge of his or her own situation, and every defensive acquisition is justified. Hobbes was a master of “novel governance structures.” Sweeping aside the hierarchical hodgepodge of inherited feudal allegiances, he envisioned formally equal individuals (for “the weakest can kill the strongest”) renouncing their unfettered “natural rights” in favor of the coercive power of a national sovereign (technically parliamentary or monarchical). This was his “awe” inspiring, man-made Leviathan — the social contract that people voluntarily enter as self-interested modern individuals, thus ensuring safety and well-being, salus populi. Harvard economics professor Martin Weitzman delivering the Max Weber lecture (and striking a Leviathan-like pose) in Florence, Italy, Oct. 2015. In the end, he postulates, the “median” voter-nation would find its emissions abatement costs exactly offset by the benefit of having all other nations reduce their emissions. Half of the world’s population would likely prefer a lower minimum price, with the other half preferring higher; but all will prefer democratically legitimized coercion to the inadequacy and uncertainty of the INDCs. Under Weitzman’s Leviathan, no rich and powerful nation, not even the United States, will be able to trump the greater good. And if Hobbesian “absoluteness” includes hostility toward institutional division of powers, it nonetheless has attractive features for confronting the climate crisis. According to Hobbes, people willingly renounce their “natural” rights to violence and unlimited acquisition only when their political world allows reasonable certainty of the actions of others. In the language of game theory, the “state of nature” is the original “assurance” or “coordination” problem. Weitzman plays along, characterizing his WCA as “automatically incentivizing all negotiating parties to internalize, at least approximately, the global warming externality.” Certainty regarding the likely behavior of others is bolstered by the knowledge that the international trading system overseen by the World Trade Organization can be marshalled to impose punitive tariffs on non-complying nations. This is Hobbesian “absoluteness”: when we are all in it together and know that we will all be subjected to the same regime, e.g., the law of the single price, we are much more likely to renounce convention and shoot for the moon. In the language of game theory: cooperation is also a stable outcome. What is being agreed upon, then, is a thoroughly modern Hobbesian social contract centered in transparently assured fossil fuel demand destruction. And while there will be difficulties along the way, Weitzman reminds us that “even just negotiating” within the majoritarian framework bolstered by a coercive countervailing mechanism is a step out of the state of nature.